To emphasize the importance of gender equality and to ensure equal opportunities in the new knowledge economy and in national programmes for building an Information Society and programmes concerning the promotion of the use of information and communication technologies (ICTs). Mrs Dr Nataša Gospić, the President of “Equal Opportunities”, underlined the importance of organizing the Round Table for the preparation of the WSIS and talked about the tasks that relate to the position of gender equality in these preparations. She greeted the meeting in the name of Mr Dr Dragoljub Micunovic, the President of the Parliament of Serbia and Montenegro, who couldn’t participate because of some sudden obligations and who has been supporting and taking part in the activities of gender equality for a longer period of time. Mr Dr Dragan Domazet, the Minister of Science, Technology and Development of the Republic of Serbia opened the Round Table and talked about the national strategy in the period of entering the Information Society, creating projects for incubator software enterprises and mobilizing the means in order to help small and medium ICT enterprises. Mrs Rosario Gracia-Luque, the representative of the secretariat of the WSIS – Gender Caucus, presented the principles of the preparation of the WSIS and talked also about lobbying and negotiations with delegates and delegations from member states so that the gender equality might be included in the principles of the Declaration and Action Plan. Mrs Nada Drobnjak, the Chief of the Gender Equality of the Government of Montenegro, presented the efforts that resulted in the institutionalization of the gender equality through creating the office for gender equality within the government of Montenegro and through an exceptionally illustrative and inspired speech she emphasized the need of women to use the ICT and to access the source of information. 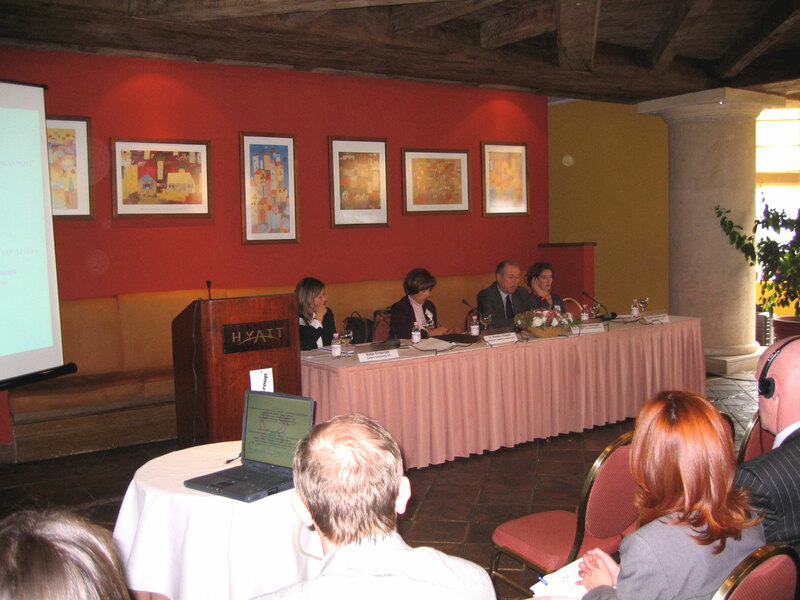 Mr Johan Hommes, Deputy of Chief of the OSCE Office in Serbia and Montenegro, presented the approach of this international organization in the establishment of the institutional frame to insure the gender equality through projects of creating a committee at the parliament of Serbia and offices within community-assemblies in 15 towns in Serbia and an office within the government of Montenegro. Mr Jan Hultgren, the president of Ericsson-Belgrade, showed a connection between the business success of the company and realization of equal opportunities in the employment policy, further advanced training and balanced joining the managing structures. Mrs Dr Zorica Uzelac, Faculty of technical sciences – Novi Sad, discussed the need of knowledge management where all the limits concerning the gender structure will be erased and a strong basis for equal opportunities will be built. Mrs Ljiljana Đordević, Telekom Srbija presented the plans of Telekom in building the infrastructure of the Information Society. 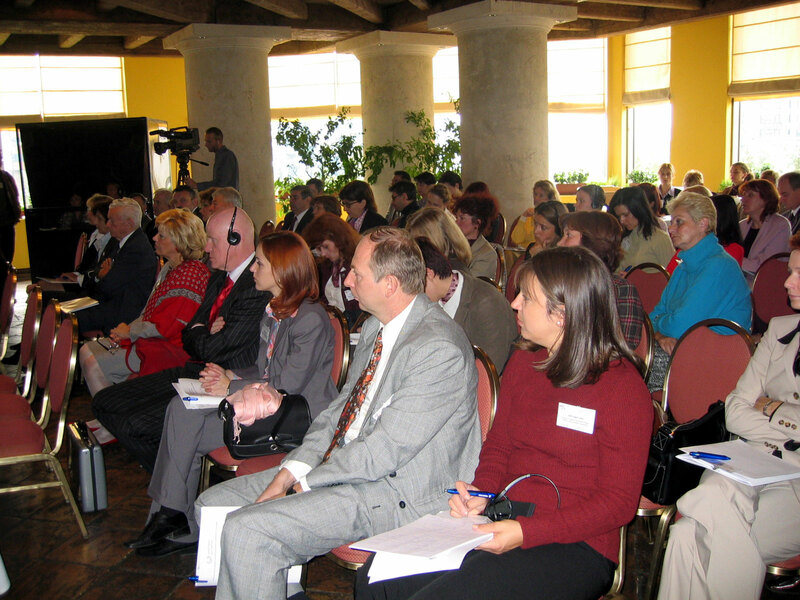 Mrs Divna Vučković, vice-president of the NGO “Equal opportunities” made a review of the association projects with a special emphasis on the Center for training of ICT trainers that was formed in August 2003 and on the course “Introduction to the usage of computers” that was taken and completed by over 100 female teachers from the most distant regions of Serbia and tutors and children of the Home of children without parents. Mrs Nada Kovačević, NGO Center for support of democratic initiatives, talked about the role of the media in promoting the Information Society and gender equality, and about creating a base that women carry out the process of the development of democracy and intensify their participation in politics by creating an image of women politicians that won’t be treated as an object that will only decorate the political pages. Mrs Ljiljana Berat, Cisco Systems, shared as a successful woman in the world of ICT together with her colleague Mrs Valentina Milenković her experience and approach of Cisco in the support of gender equality. Mrs Dijana Gligorijević, Telegroup a.d. spoke as a successful manager of a private company in the field of ICT about the problems that women managers meet and the need to use a lot of energy to justify the confidence of other managers, mostly men. Mrs Dr Snežana Pantelić-Vujanović and Mrs Dr Snežana Pejčić-Tarle, introduced with a group of students of the Faculty of Transport and Traffic Engineering, Belgrade the regional University Cyber centre, which is unique in the region, and the student’s researches done concerning chatting. The discussion that followed the presentations of the panelists, pointed out the need of accepting gender equality as an indivisible process in the further development of the Information Society. The recommendations of this Round Table, given in the enclosure of this report, will be sent to all the relevant participants building the Information Society. To create an environment for research in the field of Cyber centers at the Faculties and the use of ICT. The Round Table completed its work at 4.30 PM. generate a catalytic effect for future actions related to gender. The first phase of the WSIS will take place in Geneva hosted by Government of Switzerland, from 10 to 12 December 2003 and second in Tunis from 16 to 18 November 2005. What is National program in developing Information Society? What is social-economic aspect of Information Society? How to influence the global platform with gender perspective in transition economies? What is the infrastructure for Information Society? How to make more pragmatic approach to WSIS in relation to gender? What is the contribution of media to promote Information Society? are planned to be addressed by panelists.